Op de Haar” comprises almost 2 ha (5acres) of inter-connecting gardens. 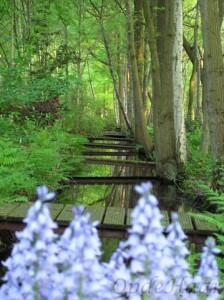 It is situated in the “Hoevelakense Wood” in the centre of the Netherlands. It is close to Amersfoort and on the boundary between Gelderland and Utrecht. 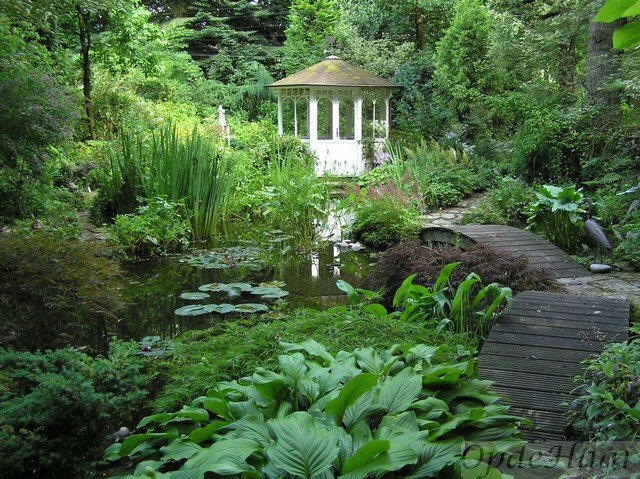 Much of the planting is the work of the current owners, John and Joyce Ramsbotham, who have been developing the gardens since 1991. This work continues. 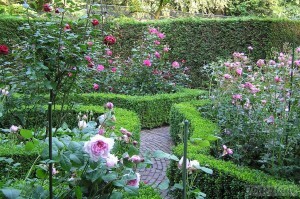 Detailed information on the individual gardens and their plants can be obtained by clicking on “7 Gardens“. A more general background on the establishment of the gardens is given under “History“. 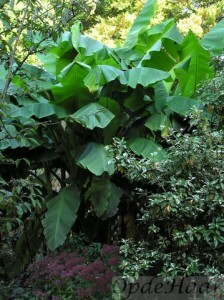 The various areas of the garden have distinctive characters although woodland and shade-tolerant plants predominate in most parts. There are numerous varieties of acers, magnolia, rhododendron, camellia, bamboo, ferns, hosta. 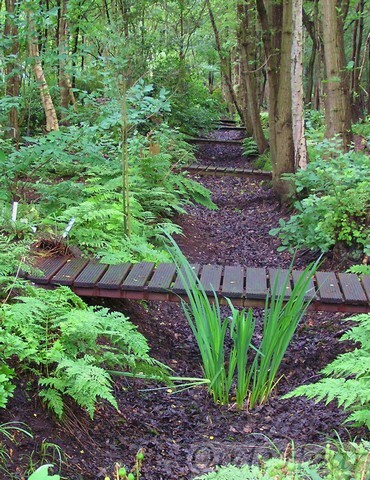 Indeed over the years the planting has evolved into something which caters for the plantsman looking for the unusual with something of interest at all times of the year. 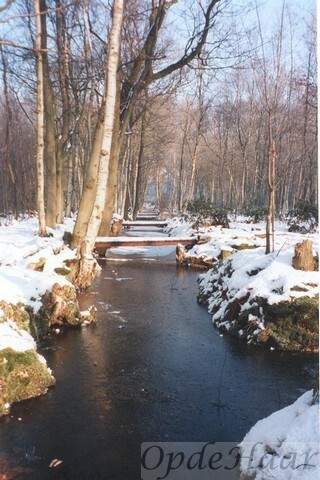 “OpdeHaar” has a unique character as it is set in the middle of a wood, which was recovered from marshland many centuries ago. 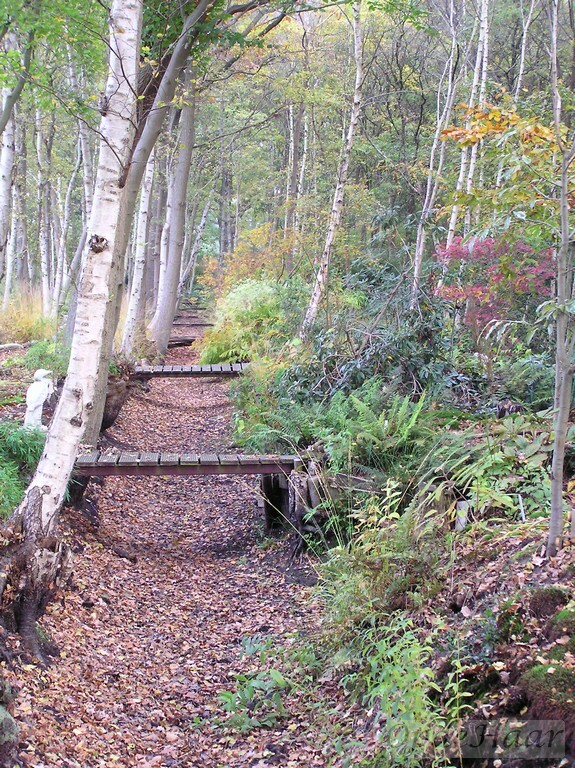 The 18 parallel drainage channels in the wood are still present today. They are full of water during the winter but dry during the summer months. 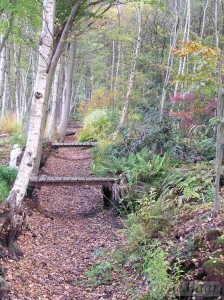 As a result, the character of the garden is constantly changing throughout the seasons. While woodland plants are undoubtedly the unique feature of “OpdeHaar” gardens, some areas to the south of the house experience very sunny conditions. 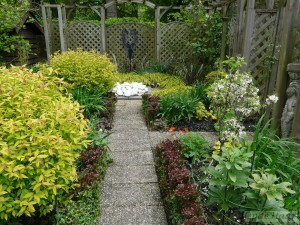 The Tropical border, Rose Garden and “Fire and Ice” garden are 3 specific examples of the sunny spots.